Whether you’re upgrading your current IT infrastructure or require additional assistance with system hardware, Positive Solutions are committed to providing a fast, effective and guaranteed installation and support service that will protect business operations. 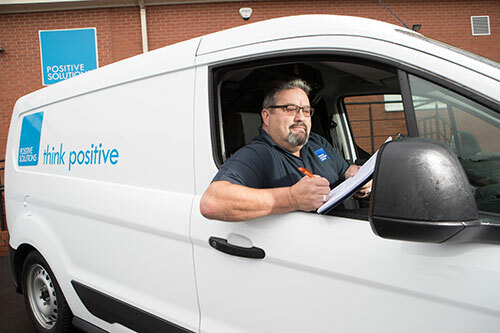 Through our team of dedicated Field Service Engineers, we can guarantee all new installations are performed to the highest standards. In the event of a hardware failure, rapid response and rectification is a priority. We understand that any downtime for your hardware is a loss of revenue for your business. All of our vans feature tracker units, meaning the Service Desk will always dispatch the engineer who is closest to your pharmacy. Each engineer also holds a full supply of hardware components, for the fastest on-site fix.